I recently had the opportunity to try some unique sponges. A company called Dew Puff has tapped into an age-old Asian beauty secret which was discovered by a Buddhist monk centuries ago. 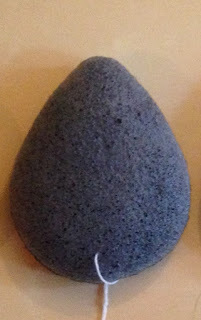 Dew Puff sponges are made of Konjac, it is a plant that grows in Asia and is used in many Asian dishes. The unique part is that the roots can be turned into a sort of sponge through a special freezing-thawing process. 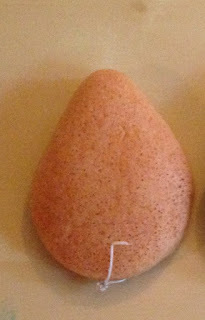 The Konjac sponge is an extremely gentle cleanser for both face and body. The sponge acts as a gentle exfoliator, rubbing off dead skin cells in the most delicate manner. The extra soft texture means that it’s safe to use on skin irritations, abrasions, sunburn, bruising and other beauty treatments. It is also safe to use for children and babies! 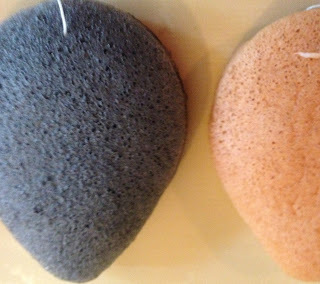 Dew puff offers 3 different kinds of sponge: Original, Asian Clay, and Bamboo Charcoal. I received one of each kind to try for this review. Dew Puff sponges are a little different from regular sponges. They are hard and porous when they are dry. The texture reminds me a little bit of hard dry Styrofoam. When wet, they turn into these supple, squishy sponges which are soft yet have a delicate texture to provide a good scrub. After you’re done, you just rinse them off and let them dry completely before your next use. There is a string so you can hang it to dry. The Original Dew Puff sponge is a 100% vegetable fiber. There are no chemicals, no preservatives or cleaning agents - Just the pure goodness of nature. You can use this sponge alone or with your favorite cleanser, when used with cleanser it has a nice lather, I would use 2 quarter-sized portions of shower gel for my whole body. Konjac is naturally alkaline - it has a neutral pH which helps to balance your skin’s pH levels and wash away dirt and impurities. It is a perfect exfoliator/detoxifier. 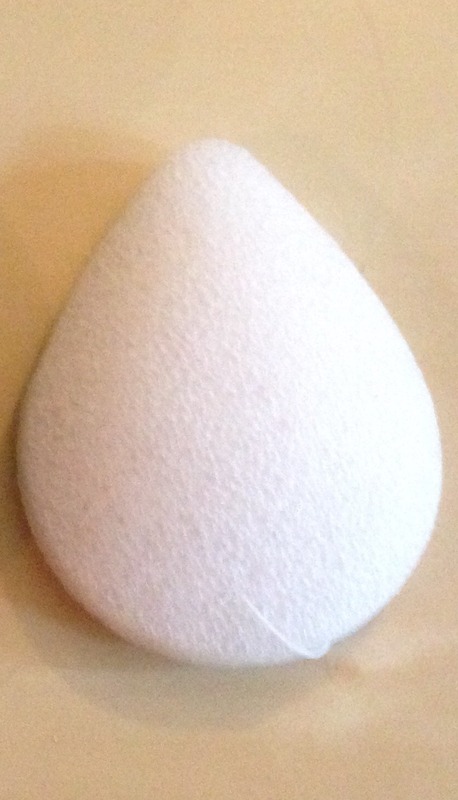 The Asian Clay Dew Puff is made from 100% Konjac root but it’s also infused with mineral rich clay. You can use this sponge without any cleanser because the clay is great for getting deep into pores removing impurities leaving skin with a healthy glow. I loved how fresh, soft and healthy my skin felt after using this sponge. The Bamboo Charcoal Dew Puff is made of 100% Konjac root and is infused with 100% vegetable fiber charcoal. You can also use this sponge without any cleanser because Bamboo Charcoal is a natural anti-oxidant and will help fight hard-to-reach, acne-causing bacteria and perfect for removing excess oil. I would clean my face without the sponge and then glide it over my face as a final rinse, my skin feels incredibly soft and fresh - felt like I just had a professional facial. Dew Puff sponges will slowly break down or deteriorate over time but should still last 3 months even when used twice daily. When they start to get damaged, you can use them to clean surfaces like pottery, metal, and other surfaces (make sure to test it on a small area first). 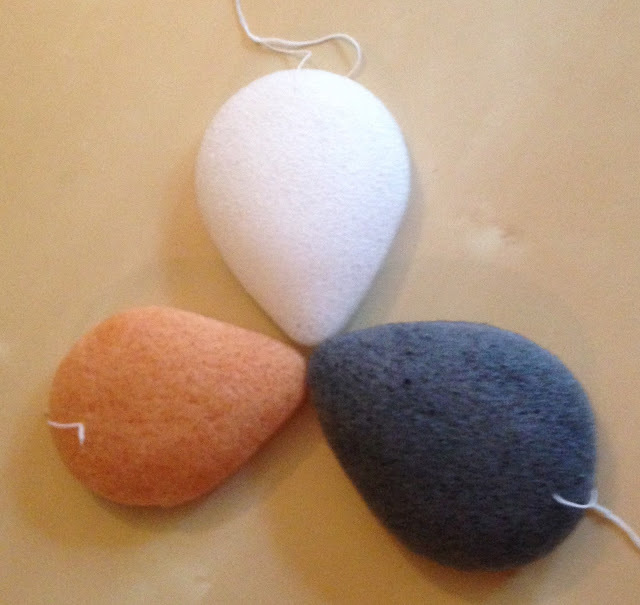 The Konjac sponge is also 100% biodegradable so you can compost it when it’s time for a new one. Dew Puff sponges can be used as a safe and natural cleaning routine for both the face and the body. Overall I like how these sponges exfoliate without being harsh on my skin. It feels more like a massage than a scrub even though I know it’s effective at removing impurities and dirt. I find my skin feels fresh and soft after using these sponges. The sponges do not have much of a scent, but smells slightly earthy. Dew Puff also offers other products including soaps, body wash, shampoo, and more. Check out the Dew Puff website at www.dewpuff.com to see the all-natural Konjac sponges as well as their other skin care products.